Update, 5/19/2014 | The results are in! 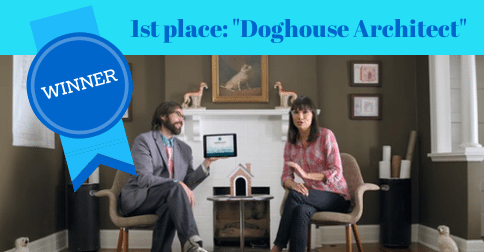 After more than 48,000 votes, realtor.com’s “Doghouse Architect” has won! See below to view the final results, and to watch the ads in full. The heavyweights of the real estate industry all launched new ad campaigns this week. Watch the ads below, then vote on whose campaign best nailed the modern real estate consumer experience. Zillow, continuing its $65 million advertising onslaught, led with “Family Search,” which includes an original soundtrack by folk singer Ray LaMontagne. Trulia offered another take at its Moment of Trulia campaign, which targets women aged 25-44. Here is “Shower,” the company’s latest TV spot.